With TV Sherlock taking a break (sorry, Elementary doesn't count) and the cinematic version seemingly pushed to the back burner, where else are we going to get our fix of new Victorian detective adventures? With The Devil's Daughter, of course! The latest (and currently the final) entry in Frogwares' increasingly excellent videogame series, Sherlock Holmes: The Devil's Daughter is spooling up for its 27 May release (on PC, PS4 and Xbox One) and the latest drop of B-roll footage suggests the new and improved detective could be one of the most memorable incarnations yet. The footage, posted by YouTuber user AllGamesDelta, shows a glimpse of the current-gen gameplay to come. There's a similar setup to the previous games, with the iconic detective creating a 'mental picture' based on questions asked over the course of a case. For anyone that's played the likes of LA Noire, The Devil's Daughter will hopefully scratch that consequence-laden detective thriller itch. Visually its a big step up from the previous entries, with the developer clearly taking a few stylistic pointers from Guy Ritchie's sexier take on the classic duo. VO actor Kerry Shale won't be reprising his role as Sherlock, although Frogwares has yet to confirm who has replaced his dulcet tones. The previous entry in the series, 2014's inexplicably-named Crimes and Punishments, was something of a sleeper hit. 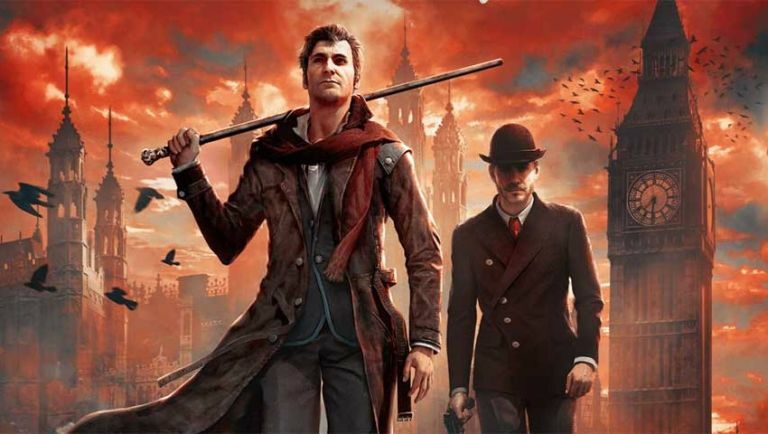 The first to run on Unreal Engine 3 it recreated Victorian London with a slew of cases that played on Sherlock's ability to analyse people and objects for clues. It had its problems but it had plenty of charm so we're quietly hopeful for Frogwares next (and potentially last) swing of the Sherlock bat.